In boxing, every fighter eventually squares off in the ring against a particularly crafty opponent. But, as the saying goes, “you have to roll with the punches.” In gardening, Mother Nature also has a seemingly endless supply of jabs, uppercuts, roundhouses, and haymakers to keep us on our toes. But whether you’re the heavyweight champ or a novice gardener, getting knocked down from time to time doesn’t mean you’re knocked out of the fight. I’m living proof of that. I made some big mistakes in my garden in 2014. Not just big. One I’d even consider epic that could have spelled disaster. But not only did I get up off the mat, I came up swinging to claim victory in what could well prove to be the most productive gardening season of my life. That’s what it’s all about. Mistakes – or as I prefer to call them, opportunities– are inevitable. No two years are alike, and Mother Nature always plays a major role. But no matter what challenges arise, the best gardens can stand the test of time. In my case, a garden that was already too crowded got hit by disease. But this troublesome situation was made worse by garden soil that was doomed from the start with tainted compost. Unbeknownst to me, the composted horse manure I had used was contaminated with persistent herbicides. When I incorporated it into my beds, I effectively killed many things in the garden before they had even been planted. It would have been a standing eight count for many gardeners. I shook it off and tried desperately to regroup. Gardeners know that “there’s always tomorrow,” but it’s often what you did yesterday that can make all the difference. Thankfully, my garden was able to rebound from this near-catastrophe primarily because of my previous efforts in building a solid foundation and my swift action in taking corrective steps while I still had time. Here are three key things I did in 2014 to rebound from significant losses in less than 12 months and come away with an abundant, thriving garden for 2015. 1. I added organic matter. Lots of it. Never underestimate the value of building soil health. Even the best soil cannot guarantee a pest- and disease-free garden, but it can greatly help to mitigate the outcome and aid in a faster recovery. Focus on adding dead plant material, kitchen scraps, and safe manure to kickstart the production of soil that’s rich in organic matter. After getting sucker-punched by the tainted manure, part of my regrouping effort included the addition of fresh compost, which I mixed several inches deep. Compost that you can easily make at home, buy in bulk or by the bag, is the single best source of organic matter and is key to any soil’s overall health. While making it at home assures that you know exactly what’s going into making it. However, when it’s purchased either in bulk or by the bag, you don’t. If you want the next best thing, look for “Certified Compost” as recognized by the U.S Composting Council. Many soil organisms can filter, buffer, breakdown, immobilize, and detoxify both organic and inorganic materials that may be potential pollutants. I attribute my biologically diverse soil as being responsible for a faster rebound, but it was also the foundation for saving my soil and the catalyst for launching my next season’s plant productivity into the stratosphere. 2. I added minerals. In native soil, the typical mineral combination includes a mixture of sand, silt, and clay, with (ideally) equal parts of each. But garden soil that has been created- brought in by the bag or truckload- may be completely devoid of any minerals. Instead, it may be pure organic matter, far too much. Balanced soil needs both, and actually needs substantially more minerals than organics. So while my new raised beds were full of truckloads of rich soil, they lacked the important minerals my plants needed to thrive. I purchased bulk soil that had been mixed with a generous ratio of minerals from granite dust and added it to my garden beds. That provided my plants the growing environment they needed to really take off. (If you’re anywhere near Atlanta, I use “Flower Mix”, from Green Brothers Earth Works. It’s prices at $29 per cubic yard). 3. I added more mulch. This one doesn’t sound like a big deal. But the results can be, and absolutely were for me. I almost always top off my beds with mulch whenever I plant anything. But last year, when I didn’t have good results, I skipped this step. What a huge mistake! The difference between a mulched season and a non-mulched season was dramatic, to say the least. With mulch, my plants stayed hydrated longer. Weeds were few and far between. Disease was non-existent. And the plants themselves were healthier. Even pests remained easily manageable, since thriving plants are less attractive to pests than weaker, struggling plants. There you have it: three simple yet significant actions that had an enormous impact on my garden this year. None of it was elaborate, none of it was expensive, none of it was difficult to implement. And the results have been incredible. I may have suffered a big hit in the early rounds, but thanks to disciplined training, good fundamentals, and a methodical game plan, I rallied to KO a garden nightmare that almost had me on the ropes. Now I want to hear from you. 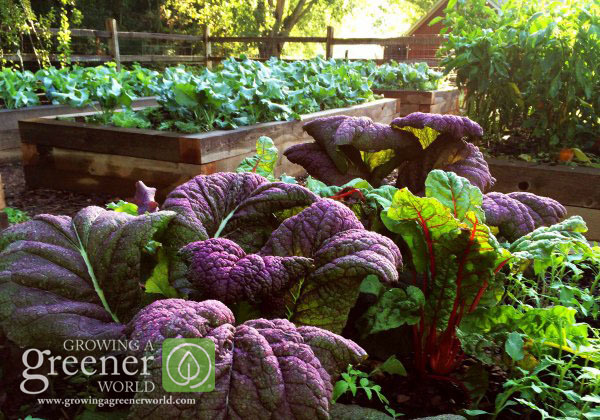 What did you do that made a positive and significant difference in your garden? Share your story below. I would space tomatoes 4′ apart at least and peppers 2 – 3′ apart. Miracle-gro is an effective fertilizer. As an organic gardener I don’t use it. But to say it’s a mistake if you use it? No, I wouldn’t say that. It works. Our garden is only 3 years old. I have 2 compost systems. One is a digester that all kitchen waste including meat, bones, grease, and dairy goes into. It is made with a 60 gallon barrel buried in the ground and has to be emptied 1x per year. I also have an earth machine bin that is mainly grass clippings and shredded newspaper. I empty both bins in the fall and then get the garden rototilled to bury the stink and also help the breakdown of the stuff that is not fully rotted. I get the garden tilled in the spring again and we get a beautiful garden as a result. This fall I also spread 2 bales of organic barley straw on before tilling to help with the stink and also add organic matter to the garden. It did both. I’ll see how the straw is in the spring time and will descide then if I will add straw again next fall. Do not add meat or dairy products to your compost, those are big no no’s. Meat can ruin and poison your compost. Help!! You all seem to know so much! I decided to recycle old tires for my garden this year. I have had the worst luck with pests and just today decided to dig in to see how the soil was doing and found it was infested with white! I have asthma so I was quick to drop the stuff and run. Now I am reading it could be good, could be horrible. Can anyone give me some advice? I have had successful gardens in ground in this spot before. This year I covered the area with landscaping cloth, vigilantly cleaned the tires, painted the outsides lighter colors to help with heat, placed them on the cloth with a piece of wire mesh in the middle (just in case the gophers have learned to chew cloth) then filled the tires with soil. I used Kellogg raised bed soil. I have a cherry tomato plant in one and a sung old in the other. My big tomatoes and zucchini were attacked by creepy crawlies. Oh and I have 2 bell pepper plants in a third tire. That tire does not have white soil however it grows mushrooms like no tomorrow. I also covered the area around the tires with red bark. I get lots of compliments on it but man am I really hating gardening this year. I’m pretty sure I have spider mites and aphids. Had my fair share of worms too but those are easy to eliminate. There was white flies on my peppers but a few days of constantly hosing them off and they gave up. My plants were looking terribly depressing about 2 weeks ago so I figured I decided to attemot cutting back the worst of it (most of it) and gave them a hood dose of Joe’s organic tomato food (mix with water kind). I couldn’t make it much worse at this ppint right?! Well my tomato plants have revived to double their size and flower like crazy! The bugs are back but not as devestating. I was going to just cut to it this time and get some mite x. Thats about it for details. Oh and I live in Southern California. Any advice?! Can I save my two plants? My two peppers are small plant but green. Although I noticed this morning they have slug or snail trails on them. HELP!! My sungold tomatoes have. Handful to harvest but I’m afraid to eat them! Keri, from what I can tell, you’re talking about whiteflies? If so, if you need to treat them, and they are tough, you have to make contact with them and I suggest insecticidal soap that you buy in the store. But, they have a season and lifecyle too. And it may be that you are now beyond the worst time of year, judging from your comments about how all is looking better now. So my advice is to let mother nature continue her work as it looks like she is succeeding at this point. Also, about the worms in your soil-they are good. Leave them be please. They will add organic nutrients to your soil and improve it too. Good luck. You make good points about adding more mulch. It seems it really adds that difference that keeps me healthy. I’m wanting to start a garden but I’m not sure what type of plants I want. I may just go to a nursery and look around then look them up. Hi Janie. You need to incorporate lots of organic matter. Look for pine bark mulch, compost, mushroom compost, shredded leaves, peat moss, etc. It’s also a good idea to use several of the above products so you have a nice blended mix of organic products. You’ll need a tiller to really work this into the existing clay soil. You’ll know you’ve got the soil right when you squeeze a handful together and it forms a clump, but when you run your fingers through it, the clump breaks apart. That’s your goal. Good luck! I too made the same mistake last year. I was assured by a friend who gave me horse manure (truckloads of it) that it was safe. From her perspective (as the horse owner) it was safe because it didn’t bother her horse, but from my perspective (as a gardener) it was lethal! I noticed most damage in my beans and peppers – stunted growth, malformed leaves, failure to flower. And, for the first year ever, I had club root on some rutabagas. GRRRRR. Too, cover crops helped: in some areas I planted tillage radishes and oats and turned them under. I planted clover but it grew poorly due to the herbicides. As I understand it (and I could be wrong) herbicides would damage alfalfa and clover, which makes them safer to use in the garden, (is why rabbit manure worked for me.) HOWEVER…GMO alfalfa is creeping into the market, so animals fed alfalfa products (pellets, cubes, hay) may be consuming GMO alfalfa. That said, I appreciate your attitude, the fact you are spreading the word, and that you fought back! Wow Nan, I feel like I have a soul mate. You and I are clearly cut from the same cloth. Now I am super vigilant in anything that comes into my soil. I’ve worked so hard over the past 3 years to try and restore the damage, I’m not about to reverse all my hard work. It’s heartbreaking to be so helpless. But I’m happy to meet someone else as picky as me now. I share you frustration! A few years ago I lost my whole garden -I have been gardening for over 50 years — after I lost my garden I started by digging with a pointed shovel row by row about 8 inches deep then filled the rows with compose – grass and leaf clippings from my mower- from the year before – add a little lime then cover with the dirt that I dug out – now I have a hill – well I don’t like weeding so the wife and I cover the whole garden with plastic ground cover and pin it down — then we cut x holes on top about 6 inches for the plants –WOW !! no more weeds and the plants grow beautiful — we water and even on dry days you can feel under the ground cover and feel moister – we do have a fence around the garden 6 foot high – we live in the city but have deer problems I know the deer can jump the high but the never have for over 20 years or so – Try it you will be very happy – no more weeding — Happy Gardening — Sam . Howdy-In 2014 I went from planting directly into the soil to 12 in. raised beds resting directly on the soil. Well most everything grew so-so my green beans and peas grew pods and filled with beans and peas but the pods never really filled out and greened up. My beds were filled with bagged top soil and compost. I’ve been totally confused by this, is this caused by just having bagged soil added. Curtis, it’s too hard to tell from this but it sounds like your soil was reasonable. If it was your soil, you will find it only gets better over time, IF you continue to add compost (about an inch or two to the surface). You could lightly scratch it in. The additional of compost mixed with minerals would be really good too! But this could be an issue with over or under fertilizing, not enough sunlight, or more. I would say, if you focus on your soil with more organic matter such as compost and minerals, make sure you’re getting at least 6 hours of full sunlight per day, and don’t over-fertilize with nitrogen (the first number in the mix), you should see better results this year. I’m a little confused. I read your article on minerals, as well as Dr. Jeff Gillman and Ellen Galvins’ articles along with your article on growing an organic lawn. What I’m confused about is…do I do what you all recommend, i.e. adding minerals, rock dirt, and Milorganite?? Kay, the “rock dirt” is intended to improve your soil. In the perfect world, yes, add it everywhere. But in the “real world” I add it in my raised beds. The biggest reason for that is my soil is almost all compost and top soil, which is woefully lacking in the mineral department. I need both so I add the minerals. In the ground on the other hand, you have mostly minerals and a small amount of organic matter. Pretty much the opposite of my raised bed scenario. Most native soil in the ground in round numbers is 50% mineral (sand, silt, and clay), plus air and water and a little organic matter. As Dr. Gillman said, balance is key. So I would focus my efforts on your food plots and ornamental beds. As I mentioned in my article, it’s always a good idea to get a soil test for your lawn or garden to see if minerals (and other nutrients) are lacking and if so, which ones. The milorganite is a nitrogen based fertilizer with iron. I use it everywhere, so my raised food beds, ornamental beds, and my lawn are fed with it, along with compost. Hope that helps. We have loads of leaves to rake in the fall, so this time I put them on my garden hoping they would break down and improve the soil. So far, I still have mounds of leaves on the garden and am wondering if we should just try to till through them when we prepare the garden, or would it be best to remove some of them. I guess my question is, “How many leaves are too many?” Thank you! Hey Kathy. So glad to hear you are using those leaves. Here’s what I would do in the future, and now if you can. I get all the leaves onto my lawn and then go over them with my mulching mower. You could also use your bagging attachment if you have the patience of Job! The main thing is to grind up the leaves into smaller pieces. That helps them break down faster to improve the soil and not be so clumpy in your beds. It also helps them bind together a bit better and no blow away as much. After I mow over them a time or two, I rake or blow them into my beds. That’s it. Now if you can get into your beds with your mower to grind them down, you’ll achieve the same thing. I do think you can have too many leaves in your bed if they are whole. they can actually prevent water from reaching parts of your ground. But if you break them down first, it’s very hard to have too many in your beds. It just won’t stack up that high. Even if, they’ll break down much faster. I live surrounded by evergreens ie lots of needles for free mulch….I have heard this may change the ph of soil so is this okay to use as mulch in the garden? Hi Linda. The impact on soil pH by evergreen needles is generally overstated. I would not hesitate to use what you have as mulch. Evergreen needles make a great mulch. No point in letting them go to waste. If however, you find that your soil pH tends to be too low (which would be the argument due to the acidity of the needles), then you can simply add ground limestone to raise the pH. Just have your soil tested if you suspect a problem. Lastly, even if your soil was slightly acidic, many plants prefer this environment anyway. You are very lucky if your garden has recovered this quickly. Some herbicides are persistent for 10 years. Years ago I used straw to mulch a bed, not realizing the straw had herbicides in it. That bed was useless for ten years and I recently expanded my chicken yard into that area rather than try again. Thanks to very knowledgeable friends advising me, when an owner of several horses offered me horse manure, I composted it for a year, checking for the presence of worms and other invertebrates. Then I tried growing a few tomato seeds in it. It wasn’t ready. I checked the next year and it was fine. Only then did I use it in my garden. I have a large garden that barely has enough sunlight to function properly. One thing I did this past fall was to plant a type of mustard that is supposed to offer some control over harmful pathogens in the soil, along with crimson clover, in my wide planting rows. The fall leaves were piled on the paths between the rows. I plan on doing a no-till garden this year after watching an episode on Growing A Greener World last season. I think the worms that I’ve raised the past couple of years will love it, even if the diminishing sunlight spoils my bounty. Last year I planted Kale for the first time next to my broccoli that I had success with the previous year. What I saw was an ever increasing amount of those little white butterflies (cabbage white I think) swarming the area above the plants and then I saw little solid green caterpillars on the plants. They were being devoured by these caterpillars. How do I stop this from happening this summer? Question: I would like to use grass clippings as mulch cover in the garden but if my husband uses Scott’s products on the lawn is that safe? Tip: Last year I grew two rows of carrots between four tomato plants in square cedar planters and that worked so well!! I also grew carrots between my tomato plants. Just scattered the seeds and ignored them…no thinning or anything. I had an amazing crop of carrots for the first time in my life. Great show Joe, I love the advice you give. When I built my raised bed garden, I treated my soil with Gypsum every few years, to keep the clay broken, and this has worked well for 16 years. Last fall I realized the same sand we’ve been using on our sidewalks would best be incorporated into the garden. This sand is in it’s natural state from an ancient lake, so salt is not an issue. It should help to keep my soil fluffy, and I suspect, it has minerals and nutrients in it, which will really help enrich my soil. Wish me luck! Also, I have been using my grass trimmings as mulch. It works wonderfully, is free, plentiful, really helps keep the soil from drying, and even cool in the extreme heat of our summers, and by the end of the season has almost rotted completely into the soil. I have a slightly different story to tell, My neighbor and I shared a load of cleaned out stalls from our local Fairgrounds. Looking back I can’t believe that I didn’t think ahead this time. The straw was fine the Horse droppings were too. But the kicker was the Alfalfa seeds that were present from the Horse feed. I had more weeds than I ever expected. This growing season won’t get here soon enough! I’m chomping at the bit to get to spring! I have compost and paper and leaves to cover the ground with as soon as I can. Joe, I made one of the same mistakes last year that you mentioned. I built 6 nice 8’x4′ beds 12″ deep out of cedar, then I ordered a dump truck load of rich organic compost mix to fill them up. The grass around the beds started flourishing after rain, but by halfway through the growing season the plants in the beds had to be watered at least twice a day and everything was getting ravaged by disease and pests. This winter I’ve taken the heavy clay soil from my flower beds around the house and mixed it into the raised beds, and moved some of that compost mix into the flower beds where my zinnias really struggled last year in the super heavy clay soil. The soil in both areas has a much better texture now, closer to loamy. Between this and utilizing a lot more mulch, I have high hopes for this year! Joe, I love your show. I am a beginner gardner and am planning my first garden this spring. I am trying to do a raised garden without using wood sides. I am trying to keep down the expense. I plan on hauling in dirt (topsoil, compost, etc) but am not sure what I should use for my soil. What do you recommend and in what ratio? I have two local cities that sell compost by the yard. Is it safe to buy compost from that source? They used trees, leaves, etc from people in the city to compost. Could you expand more on what type of minerals, and where you obtain them that you add to your compost? Thank you for sharing all your other wonderful experiences. Hi Susan. I will do that. Since you and others have asked for more information on this, I’m going to make that the subject of an upcoming blog post. Thanks for your question. I’ll have this ready very soon. Lot’s of lesson’s learned. Building boxed garden and enjoy and appreciate info! This is my first message from you. I can’t believe I missed signing up for this several weeks ago when I went to the GGW website. Your knowledge and responses to your blog are another great source of information. I have trees that I trim or they just drop branches which are a good source of mulch for me. I have a shredder which is a big help with this. I also inherited a hedge which has produced trees that have exceeded half of the hedge which provide firewood and more mulch. I can’t believe how many times I see bags of perfectly useable yard waste out at the curb and not on the compost pile. This year I will build raised beds from my neighbors re-purposed deck wood. I know about the potential for leaching from the wood to the soil, but I plan to line the inside of the bed walls with heavy plastic hoping this will lesson any possibility of that. I plan on having a little more design effort in building the raised beds which will enable mowing right up to the bed, strengthen the sides and perhaps be a little more eye appealing than just a straight sided raised bed wall. If you like I will let you know how it works out and looks. Not since the original Victory Garden show has there been as much useful information given to us gardeners. Keep up the good work. Craig, thank you very much taking the time to comment here and for you kind words about our show and other resources! I inherited an untended flower garden 2.5 years ago . The soil is mostly heavy clay. I’ve been amending it each year. I dump the leftover soil from my container gardens (soil mostly bought at Lowes, which could be contaminated but nothing seems to have died or gotten diseased–it is not labeled as organic soil) into the flowers gardens which then adds some lightness to the clay. I also mulch heavily once during the growing season and then when I put the garden to bed in the fall. I have also dumped quite a lot of manure from Lowe’s into the gardens–but it could have been contaminated too. Time will tell. My garden ended up a weedy mess last summer. My husband became ill and passed away the end of June then the next day, a storm blew through and the entire top of an old barn made a direct hit on top of it and I did little the rest of the summer except to watch the weeds get bigger and bigger. My question is now, would a wood mulch be enough to keep these weeds from coming back or should I put down some black plastic to kill all the weed seeds. I am going to try and put together some raised beds so I would be doing this between those beds. Thank you for your help. Your show is one I try to never miss, you all do a great job of giving us information we can use. Carol, I would suggest that you apply a generous layer of mulch (3 or 4 inches deep). This will block the light to the soil surface and prevent many weeds from germinating. Black plastic will do the same thing, but I try to avoid using plastic any time there is another option, which is all the time. As the mulch breaks down, it will improve the soil. The other step that’s important to reduce future weed germination is to avoid disturbing the soil surface, and bringing up dormant seeds that are just waiting for the light of day to sprout. So as you plant in the future, just dig the hole where the plant will go in and leave the rest of the mulch undisturbed. Carol, you could sheet mulch. We’ve gotten rid of all our lawn by doing this, and any time I see a big swath of weeds, I do it there, too. First a layer of cardboard. Save up boxes, ask your neighbors, go dumpster diving. Take all the tape off the boxes. Lay over area you want weed-free. Then cover whole thing with 2-3 inches of compost. Then cover that with 4-6 inches of wood chips (free from tree companies). It’s a lot of labor, but SO worth it. You can check out my blog for pictures/more info. Cheers! Every time I read your blog I get excited about spring planting. but this is Minnesota and I have 3 more months to wait. Sigh. I am wondering about the soil in my next experiment. The narrow strip between the house foundation and the sidewalk (18 inches?) gets some shade, but probably enough sun to grow greens. I have heard that cement leeches acidic stuff into the soil, and am concerned about whether I need to add something besides compost to the area. It is an old house, and the same dirt has been there for 107 years. Any suggestions? Martha, I would have your soil tested by your local county extension service. It will give you some important information about the soil pH which “may” be out of the ideal range for growing greens. So def. do that. It’s less than a $20 investment but well worth it. If your soil pH is out of ideal range, the report will tell you what you need to add to fix it. I would also focus on adding compost. You can never go wrong with that so you have nothing to lose there. Good luck Martha and glad to our blog helps inspire you. I’m living on an island, Isla Mujeres, Mexico. I’m use to gardening in Sonoma County, Ca. where the gardening was a lot easier. When you say “adding minerals” what minerals specifically so I can try and find them here. Hi Linda. I’m researching this and will be back in touch with an upcoming blog post next week. Hi Joe… Just want you to know how much we enjoy GGW. Very fun and good ideas that I try to implement. I should have answered the previous email – things gone wrong – had more examples there! But this year we saw the Back to Eden movie, and have been seriously adding wood chips to the landscape, as well as trying to put in some swales to hold more water on our property, rather than let it just run off. Even wood chips around the chicken yard has proved helpful. They don’t seem to compact, and the girls scratch all around them, and seems better than just hard denuded soil and mud that we had before. We have a lot of shade in our yard, but a sunny deck, so some of my best growing successes have been in containers on the deck. I try to use or make self-watering ones, just to keep the watering chore under control. Looking forward to adding more minerals to our garden beds… ala The Intelligent Gardener by Steve Solomon. Gardening is a challenge, but an engaging one. Always something to learn. Thanks! Ah yes Linda! Wood chips are awesome and a very under-utilized resource in the garden. Free from tree services, we should all be using them as mulch and stockpiling them as soil amendment. I do both and always try and have a couple large piles working at all times. Thanks for chiming in with this important tip. Hi Joe, great tips once again. Thanks so much. Being long time residents of the Southeast (mainly NC and SC) my wife and I remember those long, hot, DRY days of summer. So looking to our mentor, the ant of the ant and the grasshopper, we launched an extensive campaign to harvest rain water. From simple gutters on out-buildings to drip irrigation in our beds we hope to do the most with the least when a drought cycle returns. by mulch, do you mean a type of wood mulch? Well, in my case, yes, shredded pine bark mulch to be specific. But to clarify, as long as it’s not rubber mulch, most any natural mulch will work (shredded leaves, bark, pine straw, etc.). Just don’t use hay that has been sprayed with persistent herbicides! Thank you for this very detailed and informative video. I use the same open system but I plan on setting it up using the pallets as you have demonstrated. To me it really doesn’t make much difference in the final product but sure looks a lot nicer. And I’ve seen them dressed up with small plants like herbs in recycled cans attached to them, let the kids paint pictures of plants on the outside part of the pallet or you yourself can paint the outside of the pallets different colors, it’s just all fun in the garden and doing things like this even on other places in your garden just makes you want to be there more often and your garden gets a lot more attention which would lead to a more productive and successful harvest. Joe — I am one of your greatest fans, and so I offer this: beginning gardeners need more information: what do you mean by “adding minerals”? — what mins? Your explanation could give more information. Same with “mulch.” What do you mean by mulch? What is it; what does it look like; what kinds of mulch work for what kinds of soils and plants? I know you must keep your notes and copy brief, but you are a good writer and a little more information (with links to more info) would be so good — and much less frustrating for beginners. I appreciate your comment and I will certainly include more info about this and other topics I cover in the future so I don’t leave you and others hanging. Is there a mulching material that’s cheap and renewable? The bagged kind is a little pricey. I’m also curious about what kind of mulch you use! see my other reply to this question Joey. But for me, it was shredded pine bark mulch. But there are lots of options. Check with your city or county. Here in Charlotte, NC, our county grinds and compost all the yard waste they pick up on collection days. I can get a whole trailer load of compost or hardwood mulch for about 20 bucks. For the first time this past fall I planted a green cover crop of spinach in my beds. I have also been dividing the wood ash from our woodstove, used coffee grounds and crushed up eggshells. I just started turning over my beds this weekend and the soil looks great. I cant wait to get growing! I would like to thank you for writing a great note above that for me you turned your, or anybody’s mishap into a very learning POSITIVE experience. I always use rock dust such as AZOMITE from Utah as it has over 70 minerals that the soil needs. The re-mineralization of your soil really I find makes vegetables a little sweeter and of course more nourishing. Wow. Thank you for this info. I have put together 4 garden beds which I have not bought soil for yet. Just getting started. Now will look to buy soil with organic and mineral content. Also mulch. Never used mulch before but will now. Will see how my garden will grow. Thank you all for the effort that you put forward in your programs….I so appreciate the inspiration, and information your team delivers. Inspiration is the key! Where I live with deer, bad water and lousy soil it always helps me to keep trying to grow food and beauty…. Thanks Susan. Comments like yours and others inspire all of us on my team to work very hard to keep bringing you great information. We recognize that our audience does not owe us their attention. It is our job as a content provider in this very noisy online world, to deserve your attention. We’ll keep working to do that. Thanks again Susan. In addition to my 30 x 50 foot soil garden, I started 16 hay bales to try and grow tomatoes. Followed all the steps to season and fertilize them ahead of time, but after when I planted approx 30 different tomato plants, over a short period of time, it killed each and every one of them. Tried squash and other vggies and it killed everything. Bought the hay at Ace hardware, so don’t know the source of the hay, but something killed all the plants. Also had a drip system with a timer so plenty of moisture, possibly too much!! I grew all tomato plants from seed so the 60 others that I grew in soil did fine. How can I test the hay this year to see if and what may have caused the problem? Any thoughts would be welcome. Awe George. That’s awful! I’m sorry to hear that. It can be impossible to know the source of hay when you buy it from a retailer that buys in such mass from multiple suppliers. It’s hard enough even when you buy it direct from the grower to find those that don’t use this persistent herbicide. To know if your soil is safe to plant, there is a bio-assay test that can help you know. Watch this episode and scroll to the segment where I show you how to do that. Here’s the link: http://www.growingagreenerworld.com/weedless-gardening/. It doesn’t address planting directly into hay, but it gets the message across.